Credit takes on many forms. Each form works differently from each other, so it is imperative to know which form is right for you. Here we will discuss what each type of credit is, so you, as the consumer, can make an informed choice at deciding what type is right for you and your finances. First off, we must understand what credit is. Credit is defined as any money that is borrowed by a consumer or individual to purchase goods or services. This money is borrowed from a lender or a creditor. An arrangement is made to repay all money owed, plus an interest or finance charge, over a period of time discussed and agreed upon by the lender and the consumer. A loan is a type of credit that comes in a few forms itself. There are secured and unsecured loans. A secured loan is a loan that must be backed by collateral. This means that something of equal or more value is put up for the loan, such as a house or a car. Some banks will also allow the consumer to use a savings account, such as a CD, to be put up for collateral. The individual will not be able to access the account for the duration of the loan if the savings account is used for collateral. Secured loans usually have a lower interest rate because banks are not taking as high of a risk with the consumer since there is collateral put up. An unsecured loan is a loan that will not require any collateral to be placed on the loan. This loan is based off your credit score and if you can repay it or not. Usually unsecured loans are not for as much money as a secured loan would be for, and will have a higher interest rate because the creditor is taking a much higher risk than if collateral was put up. Many times a creditor will only offer an unsecured loan for a shorter time frame than they would if the loan was secured. 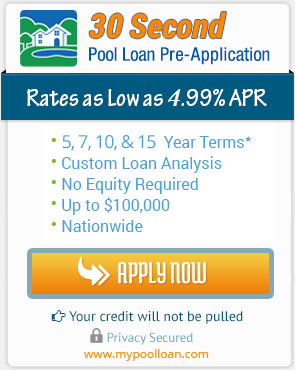 If you are able to pick the type of loan, the decision will have to be yours alone. Only the individual can decide if secured or unsecured is right for them. Some worry that if they put up collateral, such as a home, the lender can take it at any time. But if you stay current with your payments, the lender has no right to take it. The only way the collateral would become their property was if the loan was defaulted and the lender needed to recoup their money that was owed to them. Loans are often paid in installments. This means that repayment is due in fixed monthly amounts, over a specific time frame. Interest charges are included in installment loans. Such examples of an installment loan would be a home mortgage, an auto loan, or even a personal loan. Another form of credit is service credit. This is an agreement with the consumer and a company that offers one a service. This would include the phone company, gas company, gym memberships, cell phone plans, or any other service that is paid on a regular basis that one is billed for. Some of these can be reported in an individual’s credit report. Revolving credit is a credit in which a consumer is given a maximum credit limit and charges can be made up to that amount. Each month a minimum amount must be paid in order to not be penalized. If the bill is not paid in full, the account will be subject to an interest charge the next month. Credit cards are examples of revolving credit. Charge cards are the last kind of credit. Many assume that a charge card is the same as a credit card, but really a charge card must be paid in full each month. There is not a minimum payment that is due each month. Now that you understand credit, it will be much easier to make an informed decision on what kind of credit should be used for different purchases. Sometimes the choice is the consumers as to what type of credit that they wish to use, and other times the choice will be made for them by the creditor. Such is the case in a second mortgage. If one takes out a second loan on the home, the primary home is usually put up for collateral on the loan, so if payment is not made, the creditor will be able to have the home and make the money back that was lost in the loan. Understanding credit and what all goes with it allows the consumer to be able to fully be aware of the types of credit out there and what is best for them personally and financially.